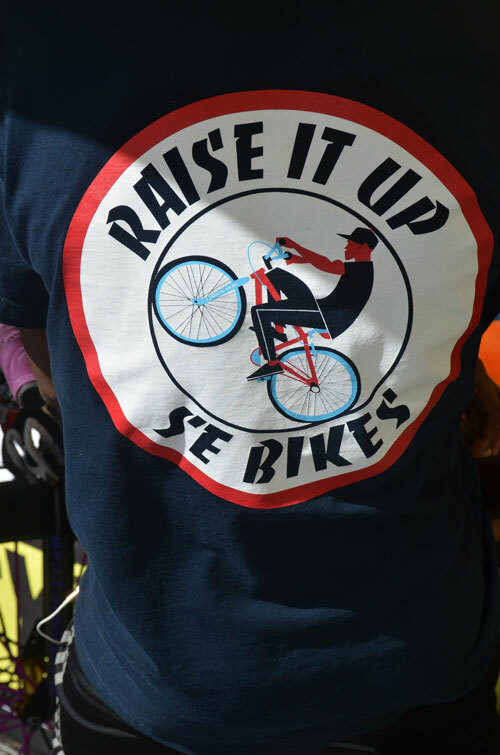 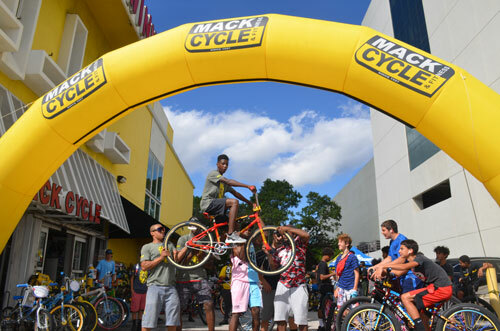 On Saturday October 27th Mack Cycle & Fitness hosted the SE Bikes Harlem Team. 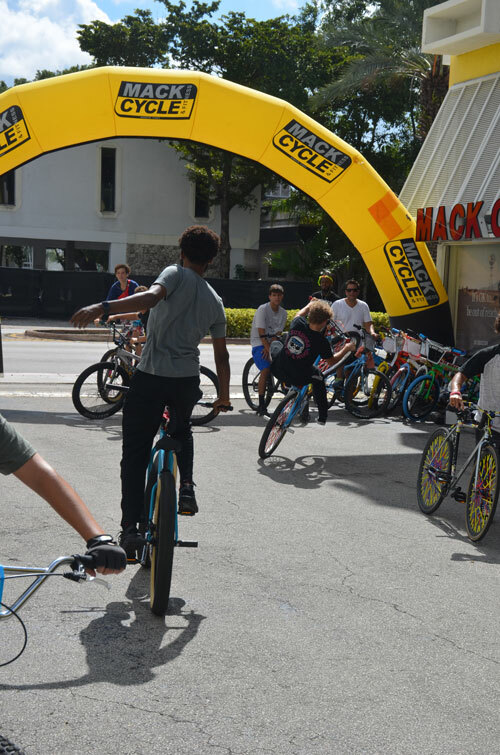 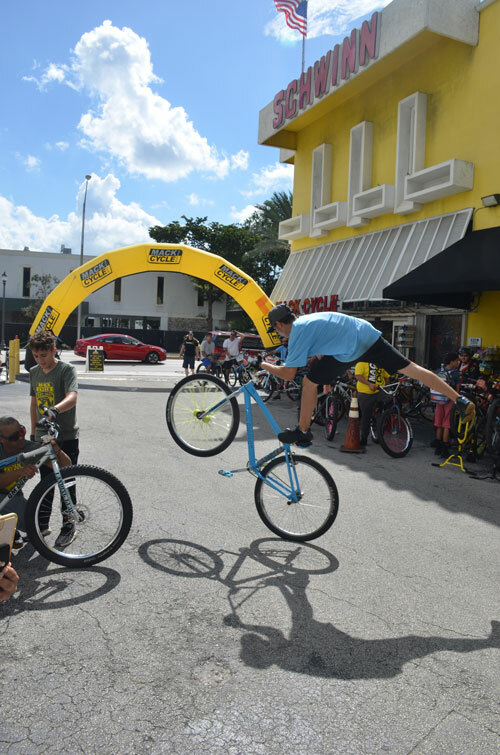 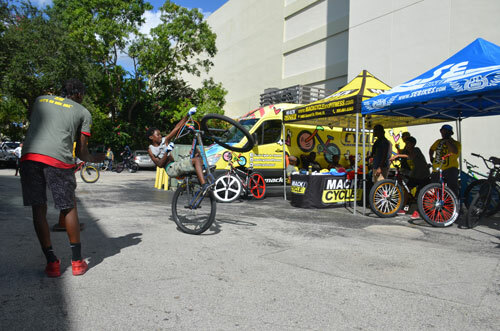 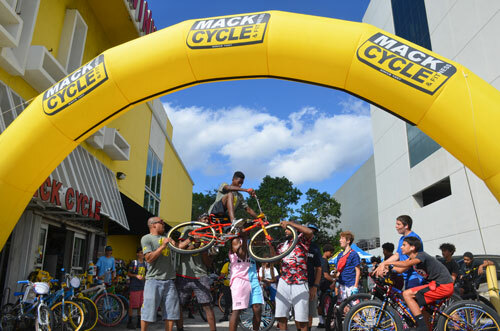 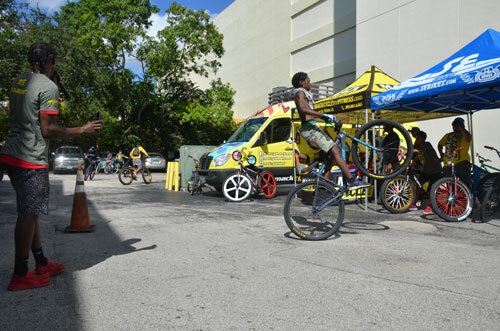 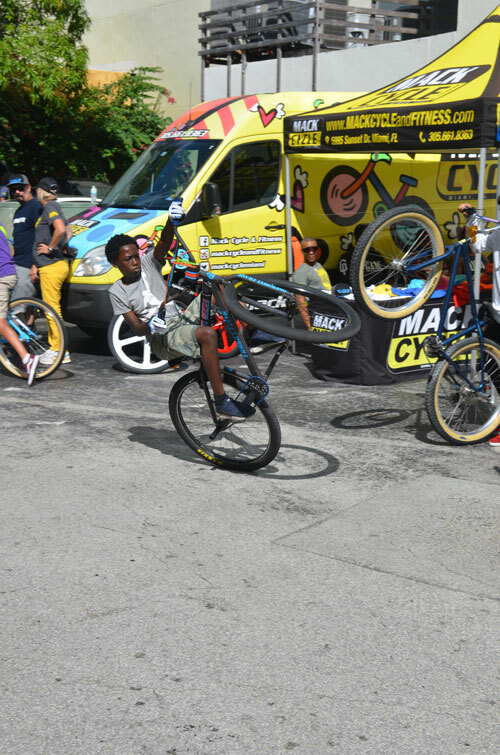 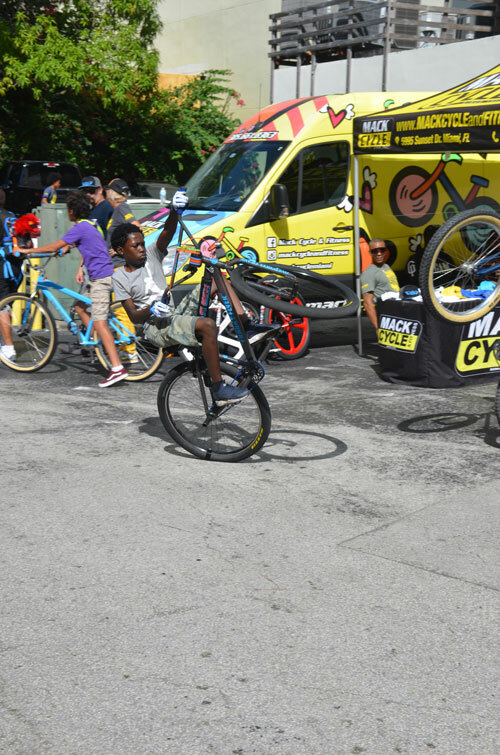 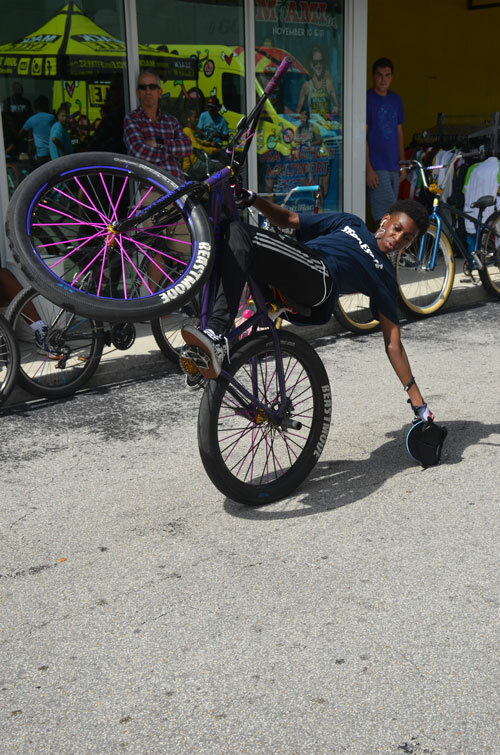 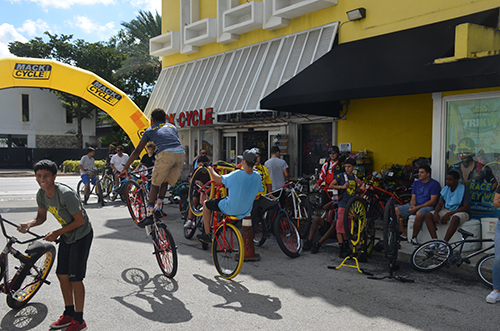 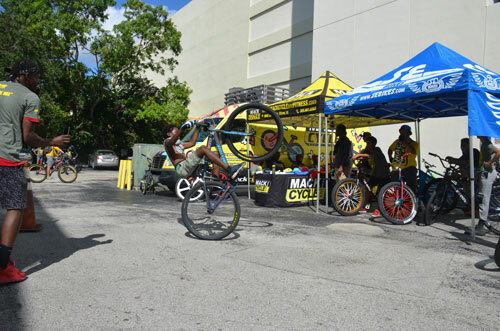 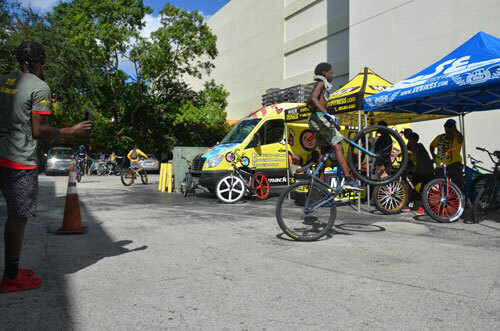 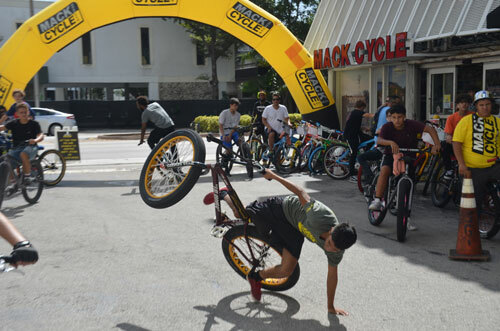 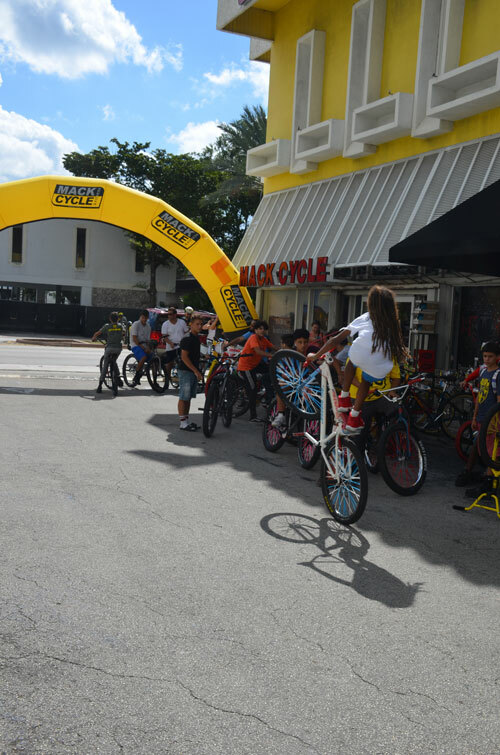 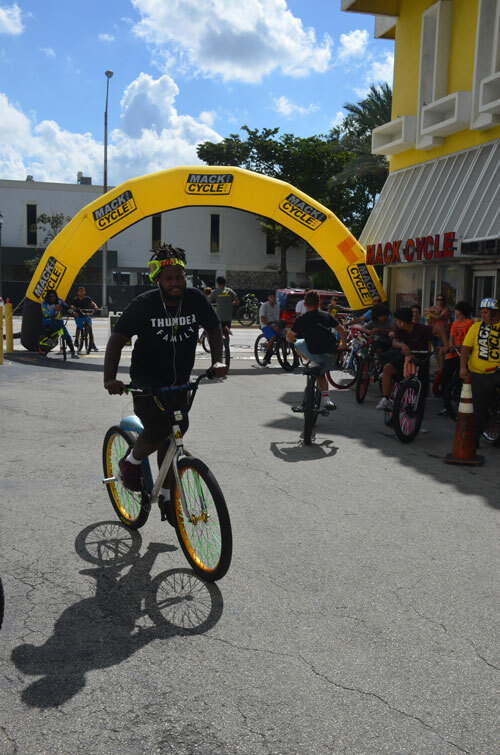 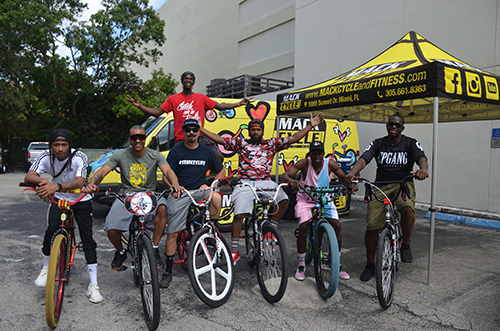 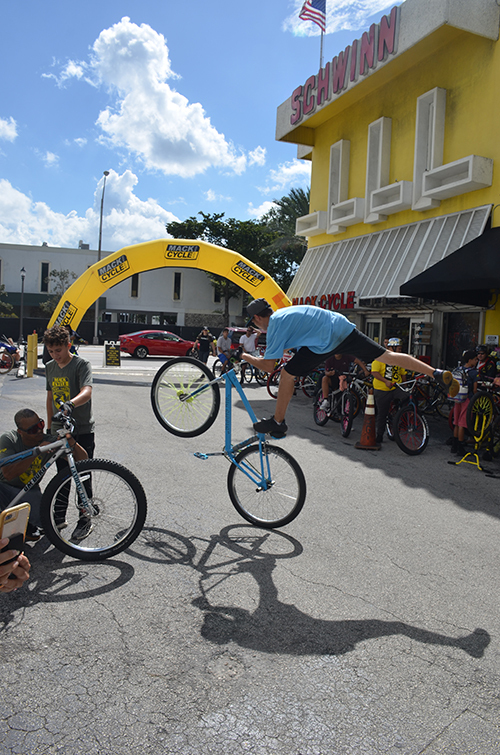 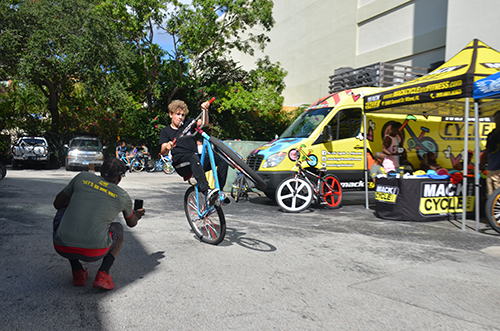 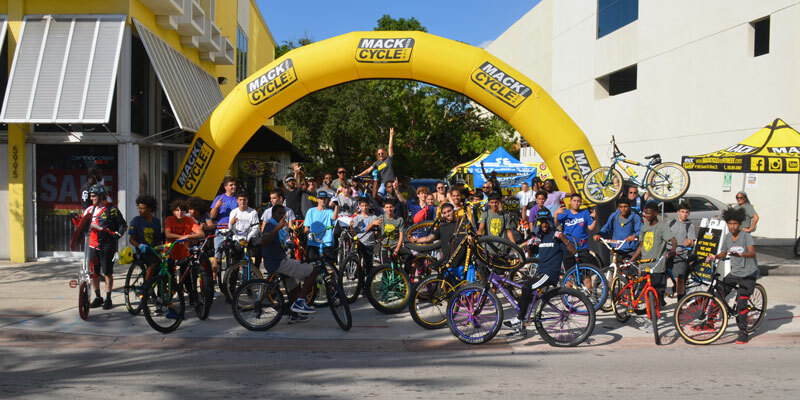 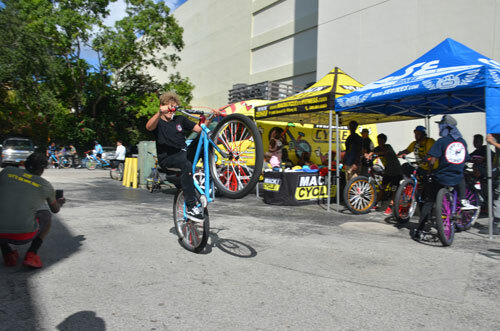 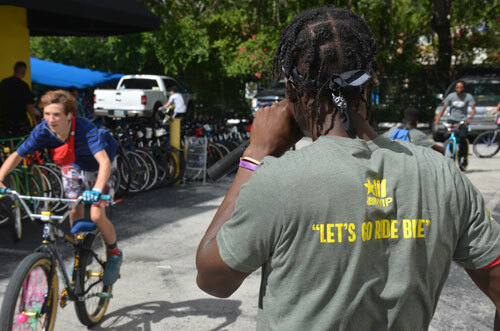 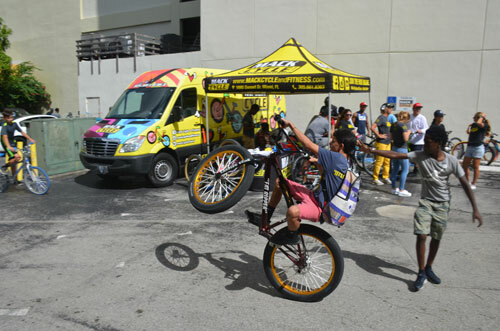 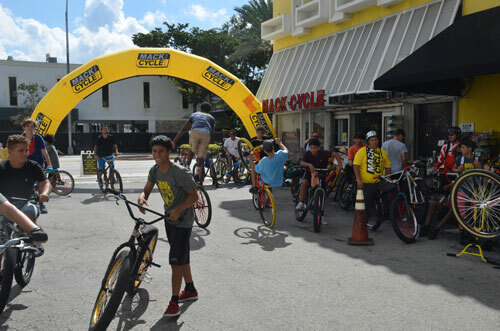 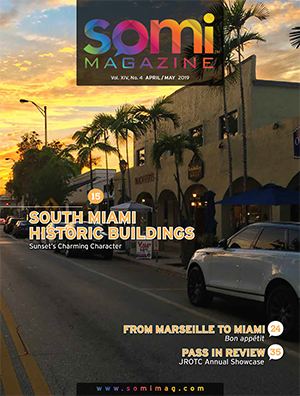 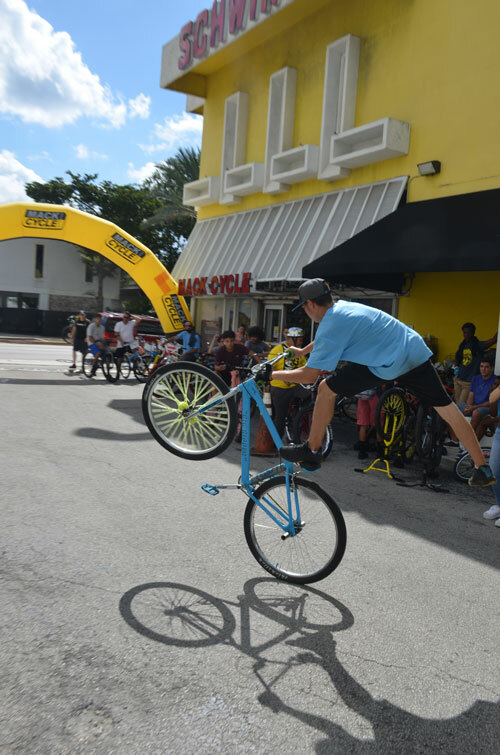 The team, on their first trip to Miami, got the word out on Intagram of their showcase exhibition and BMX competition and awards, and mostly young cyclists from all over Miami peddled to Mack Cycle for an entertaining competitive afternoon. 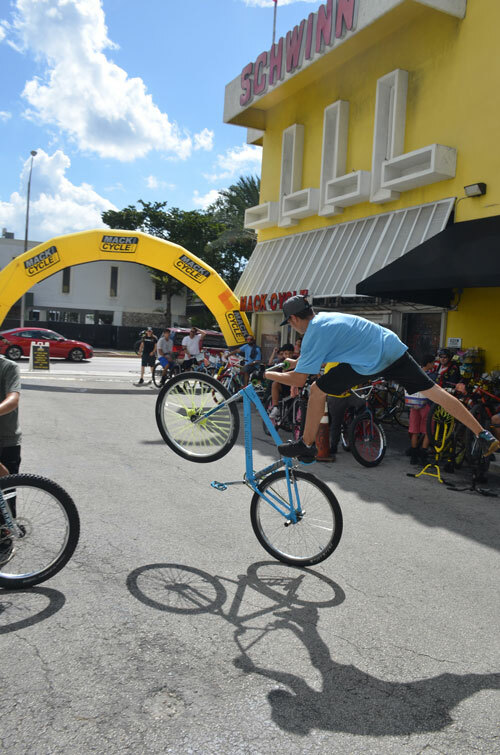 SE Bikes, founded in Long Beach, California by Scot Breithaupt in 1977, is at the top of the game after all these years. 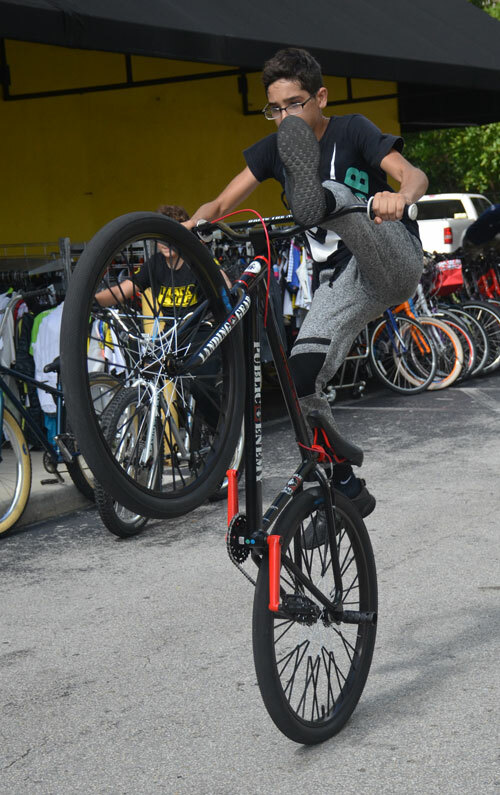 At the time, Perry Kramer, the top rider on the SE team, insisted that a gusset be welded to the top tube junction for strength. 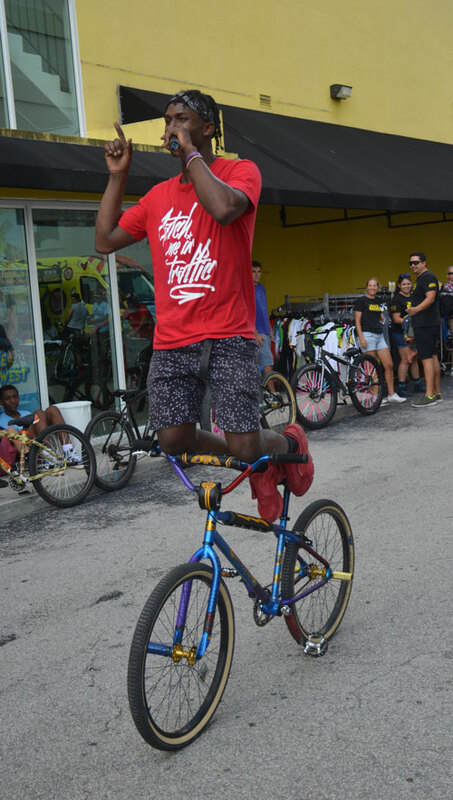 Once the frame redesign was completed, it became Perry’s signature bike, the “PK Ripper,” & went on to become the most legendary BMX bike of all time. 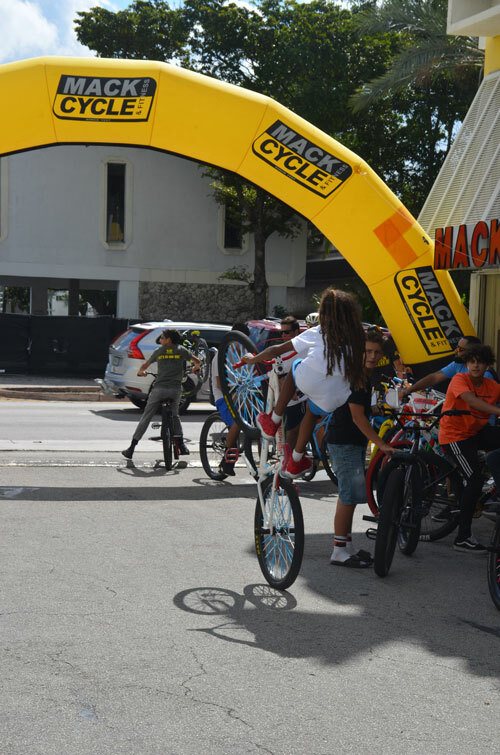 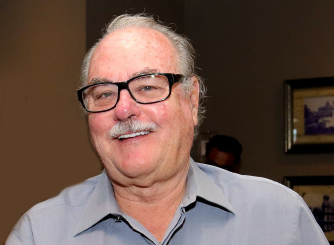 From designing BMX tracks and promoting races to establishing BMX publications and managing race teams, Scot played an integral role in growing the sport. 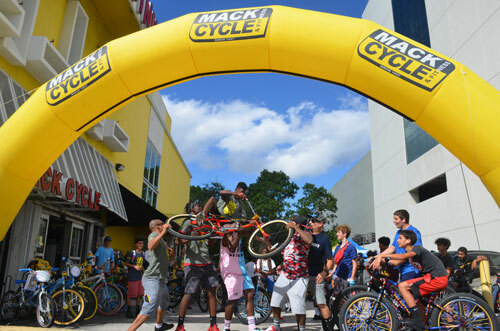 The SE Bikes Team “Cycle Squad Maniacs,” pictured above with Team Mack Cycle: Luis Esquea, Rachel Losada, Twisted 700, The Real Bruhmann, Team Road Manager Marlowe Buelvas, Mary Jane Mark, D.B. 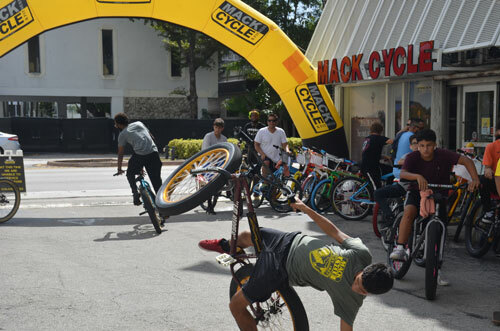 Locks, Sandy Losada, Mohammed Bloxz, Art Perez. 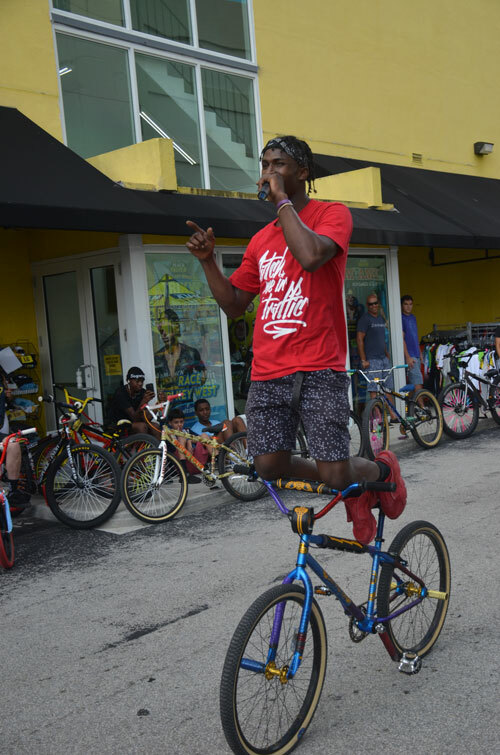 Cycle Squad Maniac announcing the competition events in the Mack Cycle parking lot. 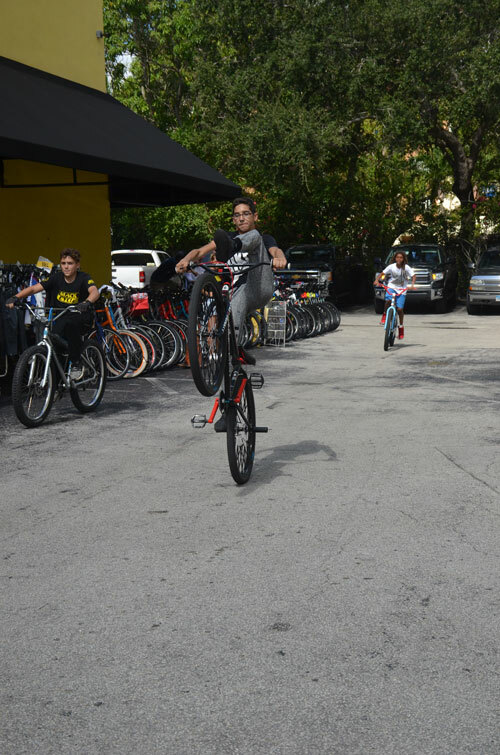 Andres Ojeda demonstrating his BMX skills. 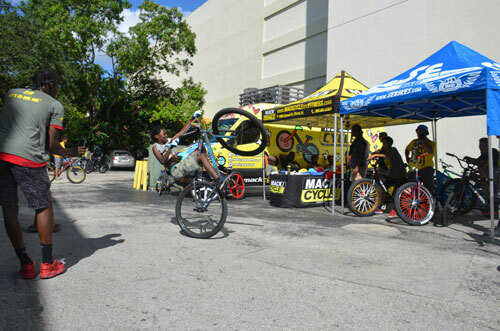 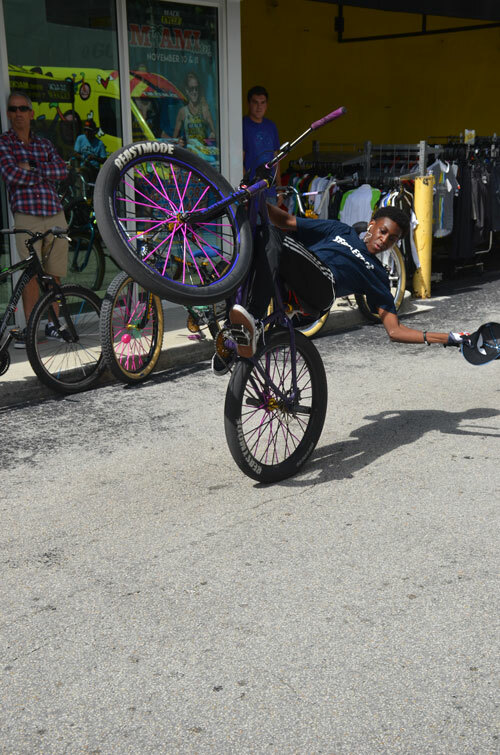 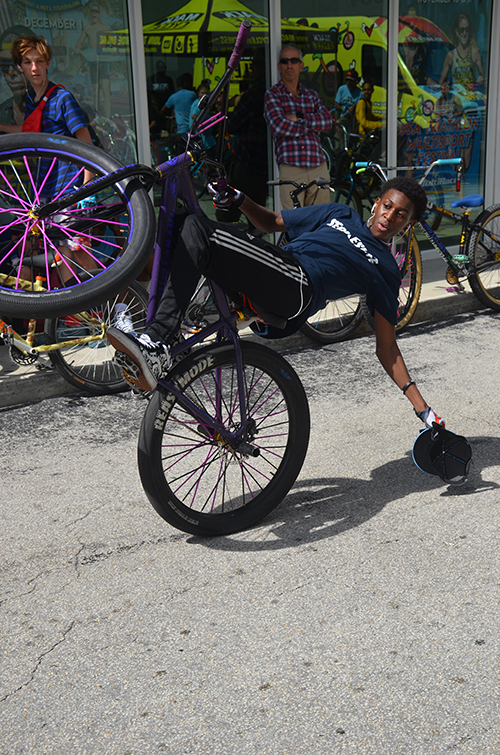 Jaheim Culpepper, 16, from Miami Edison HS performing a BMX stunt.